60 min. Relaxation Massage, Full Manicure and Full Pedicure. Spa Manicure and Spa Pedicure, 60 min. Relaxation Massage, 60 min. Signature Facial. 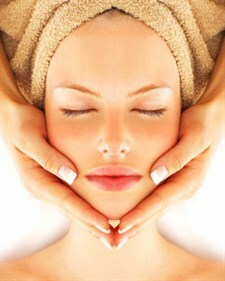 90 min relaxation , 90 min Facial ,Deluxe Manicure & Pedicure . All products used for facials are Bioelements, which is formulated with the most potent, natural botanical extracts, pure essential oils and advanced cosmetic ingredients available. Bioelement products will coax your skin into shape, not assault it. Stress-relieving, hydrating, and anti-aging face treatment. This customized facial will address your skincare needs and provide deep relaxation. This mini facial is a great rejuvenator on a busy day. In addition to deep exfoliation, the Pumice Facial Peel battles fine lines and improves skin tone. This facial is best in a series. We use CND Shellac for manicure and pedicures. This product combined with our expert technicians will give you a polished look that lasts for two weeks with no chipping or peeling! It will also help your nails grow longer and stronger! But don't just take our word for it! Book your next shellac appointment with us and see what makes CND the best. Shellac is a true innovation in chip- free, extended-wear nail color. Ease of polish with incomparable high- gloss shine and extended 14-Day wear. NO nail damage, drills, or filling. Easy on and easy off in 10 minutes with nail wraps. Includes almond oil soak, scrub, masque, nail and cuticle care, massage,hot towel, and polish. Includes mineral foot bath, nail, cuticle and callus care, mineral scrub, choice of masque or paraffin, hot towel, essential oil massage, and polish. Non-Acetone remover! We use CND Shellac Nourishing Remover, infused with macadamia and vitamin E oils to condition nails and gently remove Shellac in just 8 minutes! Deep tissue techniques are incorporated for a deeper level of bodywork. A perfect treatment for your specific areas of concern. Helps the body de-stress and relax. Session may include trigger point therapy and/or myofascial release. Hot and cold stones are placed on and around the body to promote a truly relaxed and meditative state. Heat penetrates deep into muscles to relieve stress and tension, while the cold stones help with overworked muscles and inflammation. Ease your aching muscles and comfort yourself while giving special attention to you and your baby. Promotes circulation and gives you a sense of balance to the body. Combines the art of massage and vita flex points using 9 different powerful essential oils and two massage oils. A heat compress combined with reflexology makes this treatment highly therapeutic and brings about physical, emotional, and mental balance to the mind and body. A luxurious blend of essential oils provide a theraputic effect. With the help of your therapist choose between an assortment of highly concentrated, organic oils appropriate for you to promote a healthy equilibrium of body mind and spirit. Reflexology is based on the principle of zone therapy. Our body is reflected through points in our hands and feet, by massaging certain areas of hands and feet, relief could be provided to the reflected area. A thorough foot massage is just as effective and relaxing as a full body massage. Customize this massage any way you want. Choose 1 of several modalities. Choose between custom herbal blends of Basil and Wintergreen or, Cypress and Orange. The blends are warmed and applied vigorously to the scalp, neck and shoulders to stimulate circulation, refresh a fatigued mind, while also nourishing the hair. Steaming hot towels infused with therapeutic grade essential oils are gently placed on the body for relief of backaches and joint pain. Vigorous massage strokes stimulate the lymphatic system and aid in circulation. This is a must after a day on the slopes or single track. Last up to 6 weeks, waterproof, and do not harm existing lashes. 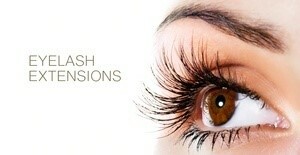 LASHbeLONG products are safe and durable. Individual eyelashes, customized to your preference! All services are by appointment only. As a courtesy to our technicians we ask that any changes to your appointment be made 24 hours in advance.